Gorgeous, country-like setting, AND quick commute! LOCATION, LOCATION, LOCATION! 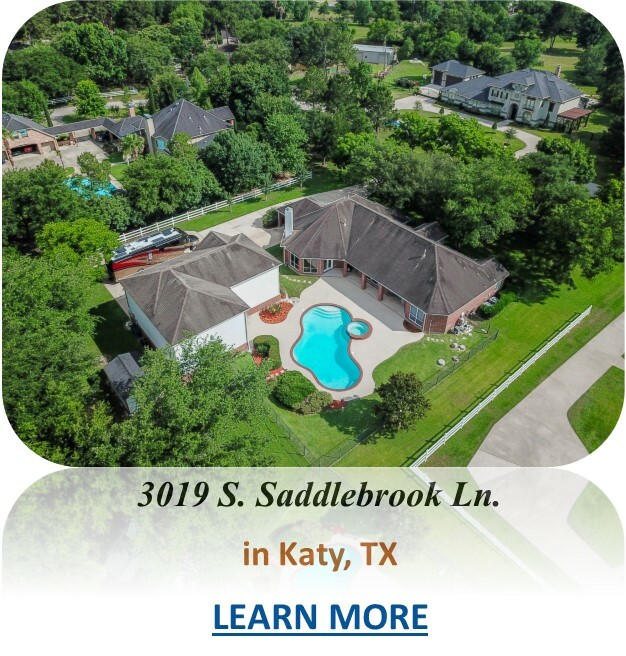 Rare Katy home on large, pristine 1.25 acre lot with quick access to I-10 and Grand Parkway. Beautiful oak and pecan trees, swimming pool and hot tub. Garage apt. with kitchen, full bath, 3 car garage plus extra large oversized 4th car or RV gar. with 40 amp service plugs inside and 30 plus 50 amps outside. Convenient porte cochere for quick in and out with groceries. Perimeter picket fence is maintenance-free material. Full sprinkler system. Lovely interior with views of the sprawling lot and pool. Island kitchen with granite counters and breakfast bar open to spacious den. Wet bar in the living. High ceilings in the master, huge master bath, whirlpool tub, separate shower, spacious walk-in closet. Built-in speakers in living, den and back patio with remote. Super low tax rate – no MUD taxes or HOA! Note: listed sq.ft. includes both house and garage apt. (per seller). New roof October 6th, 2018.